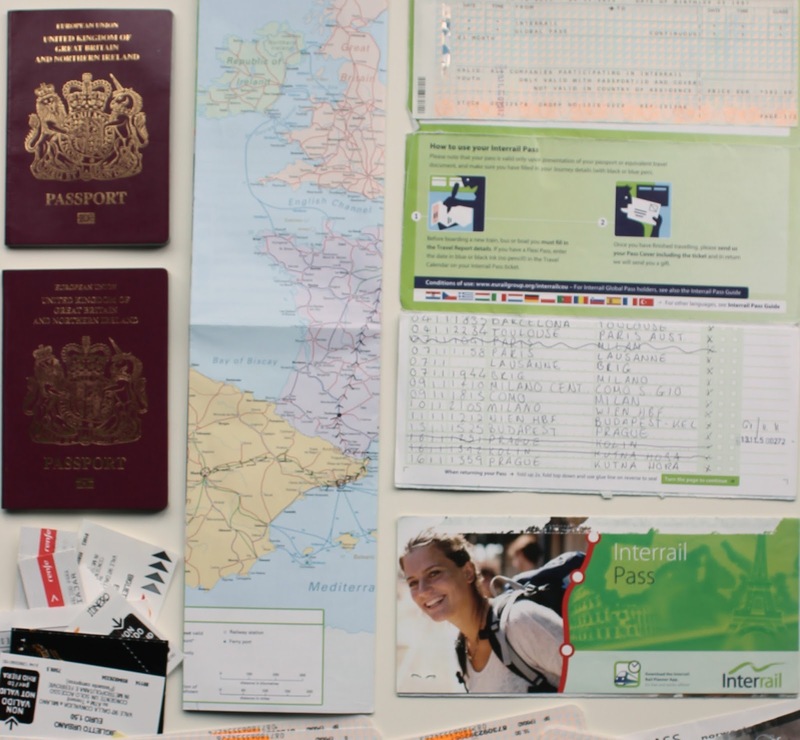 Just Deenie: THE CHECKLIST | Interrail - Pack, Plan & Go! THE CHECKLIST | Interrail - Pack, Plan & Go! So you're planning your journey around Europe, let's get you organised! If you're interested in planning a trip as a whole, check out my Plan, Pack & Go guide here. You can also check out my VIDEO GUIDE if you're interested! Sam and I managed to plan a month long journey within a day, because I made lists and was extremely careful with my organisation. Here's how we did it! Booking things is the first thing you need to do: you're left with the rest of your budget, you know your times and dates, and you can plan everything else around that. The next few bits should be done after the above, as you'll know the dates you're flying, how long you're travelling and maybe even where. I have a big packing post in the works, but aside from clothes and toiletries, there are a few things you might not have already that I'd highly reccommend buying (or searching for them under your bed). My main tip will be to have a notebook and pen with you at all times. Just make lists, things to buy, flight times, schedules etc. Set reminders on your phone and write things on your hand- just do everything you can to organise yourself and you'll be okay!